There are no guarantees when it comes to investing. But due to how our current monetary system is structured, and how central bankers will undoubtedly respond to the next crisis, gold and silver are guaranteed to benefit. It all centers around the constant erosion in the value of our currency. The Consumer Price Index (CPI), the government’s primary gage of inflation, has marched higher for the past 40 years. Since just the year 2000, consumer prices have risen 75%! This is a direct assault on your purchasing power. It continually erodes your standard of living. Even in a “low” inflationary environment, your currency is guaranteed to lose purchasing power. • Central banks are guaranteed to print currency. In the upcoming deflation, there will be a contraction of the currency supply that central bankers won’t be able to control. 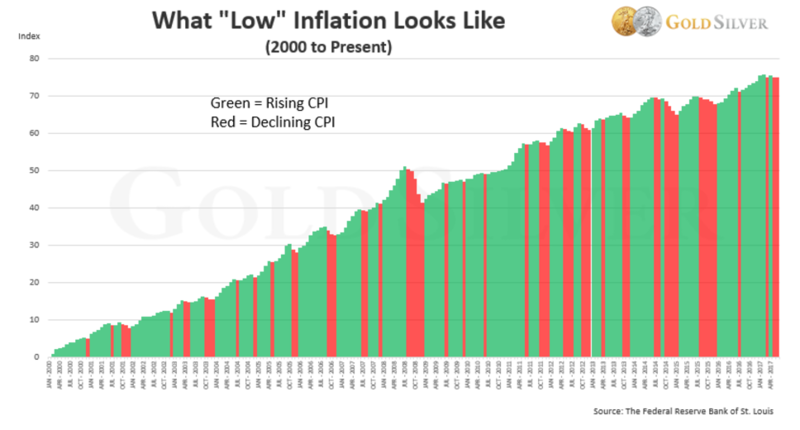 And as the deflation worsens, central banks will respond by printing money. 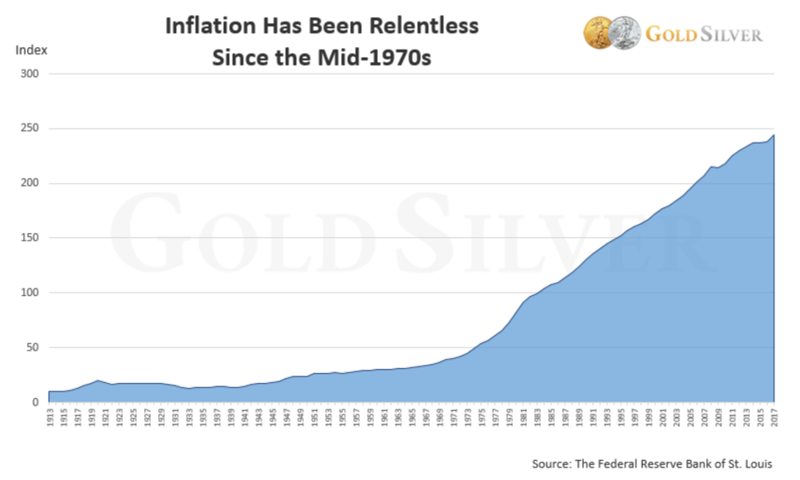 That massive increase in money supply will make gold and silver exponentially more valuable. The fear is that the overreaction by central bankers could push us into hyperinflation. This scary phenomenon actually doesn’t require a lot of money printing, but a loss of faith in the currency. In that scenario, those who own gold and silver will see their purchasing price rise by an order of magnitude. This is exactly what has happened repeatedly throughout history. Watch Mike's full series: "The Top 10 Reasons I Own Gold and Silver".